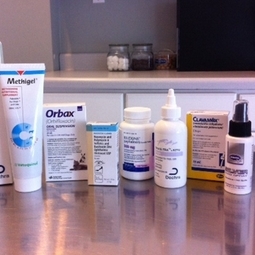 To better serve you and your pets, we have our own in-house pharmacy. Our pharmacy contains all the medications needed to keep your pet comfortable and healthy including: antibiotics, medicated ear cleaners and shampoos, eye medications, pain relievers and vaccinations. Rarely, we will need a special medication to treat your pet. We can make special orders and even have medications compounded if not available in our pharmacy.